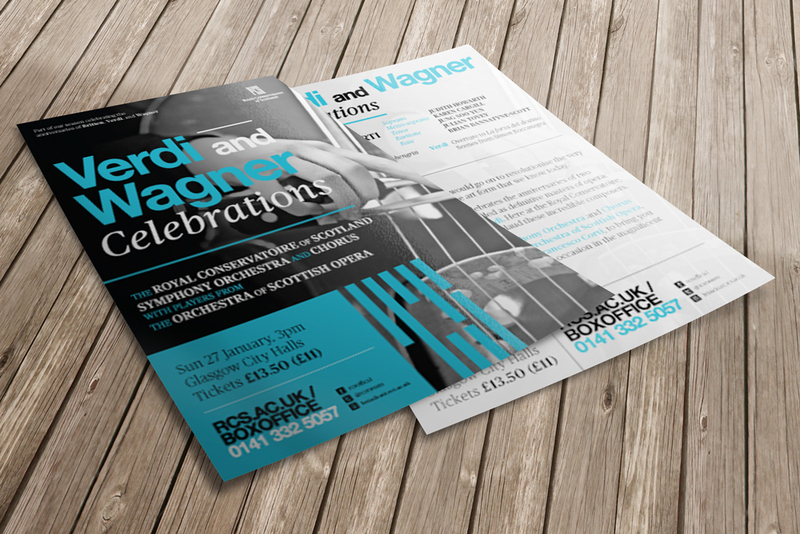 Examples of the work I created when working for the Royal Conservatoire of Scotland, Glasgow, Scotland. 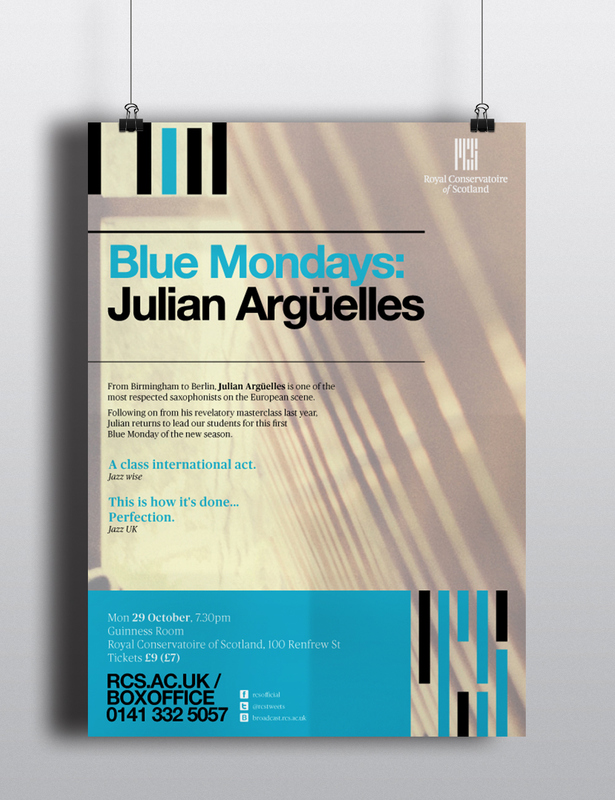 Working as a temporary Marketing Officer promoting the events held on campus and performed by students across Scotland, I had the opportunity to develop and design the promotional material. 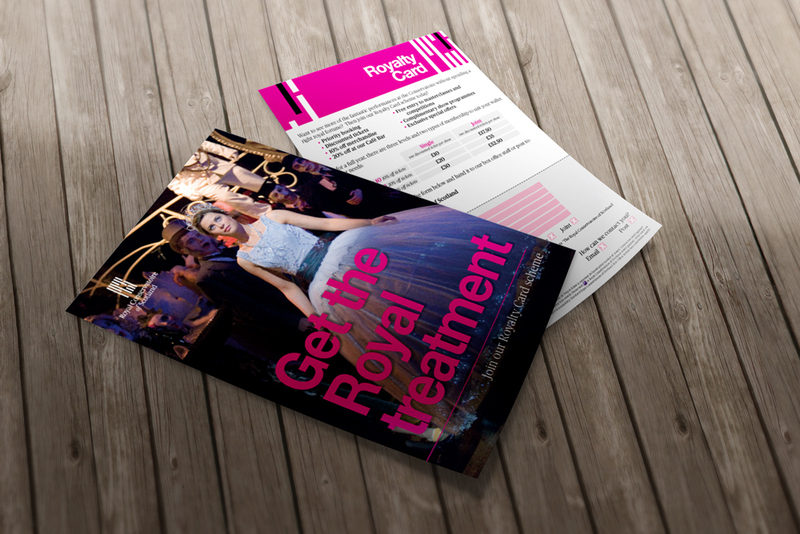 Primarily creating posters and flyers, I also worked on creating a membership scheme and was asked to create advertising for industry publications for recruitment. 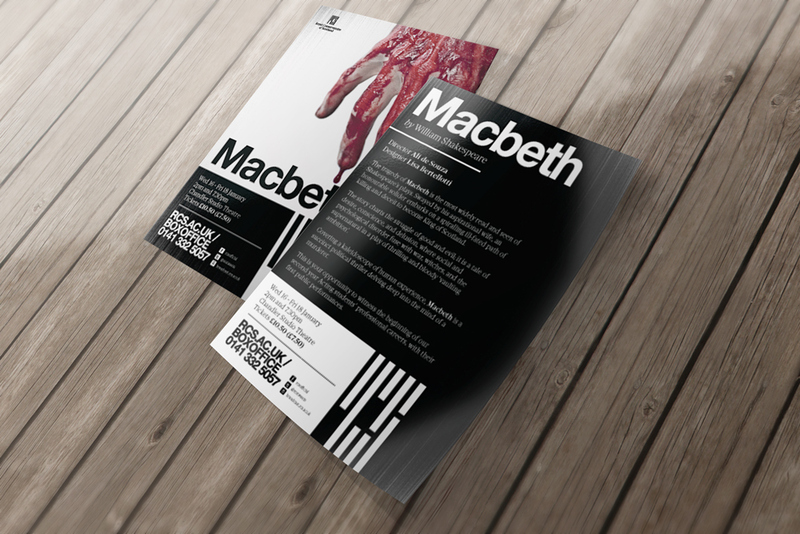 Promotional flyer created for the BA Acting student's production of Shakespeare's Macbeth. 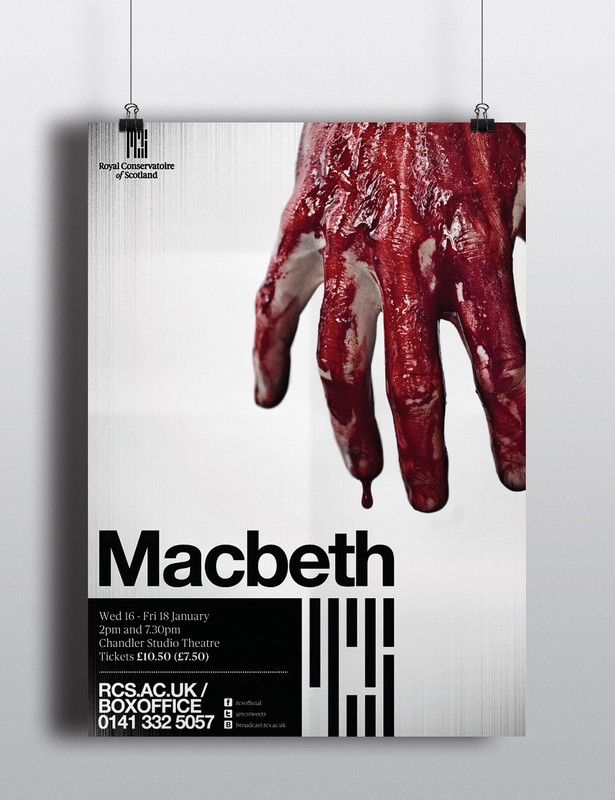 The contrast of the grimey, bloodied hand and the crisp lines of the Royal Conservatoire of Scotland's branding makes for a striking image. The photograph of the bloodied hand was actually shot and created for this campaign. The hand is of one of students in the production, the fake blood is courtesy of the Royal Conservatoire's make-up students, and the image was captured by the in-house photographer. I then edited the contrast and texture to make it as eye-catching as possible. The footer details - box office number, web address, etc. 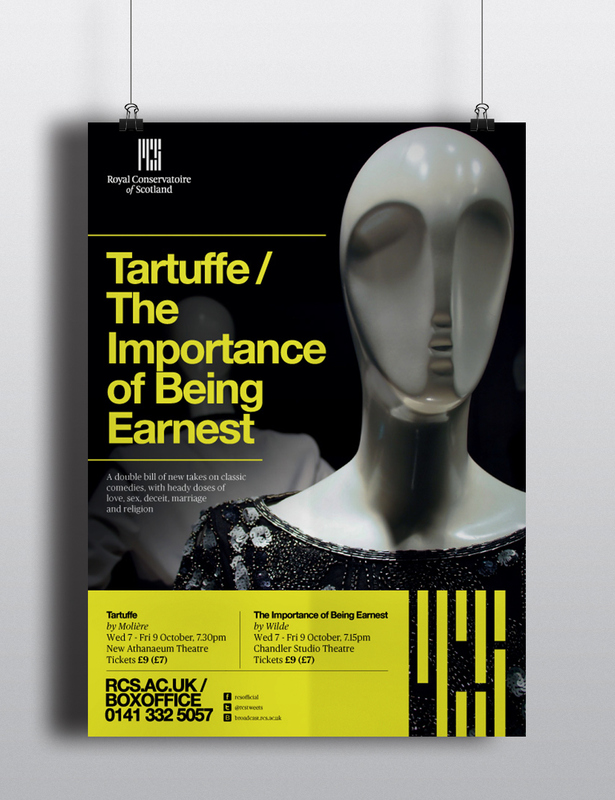 - was developed by me to create a more coherent approach to the promotional collateral for all events at the Royal Conservatoire of Scotland. Promotional flyer created for the launch of a new membership scheme. 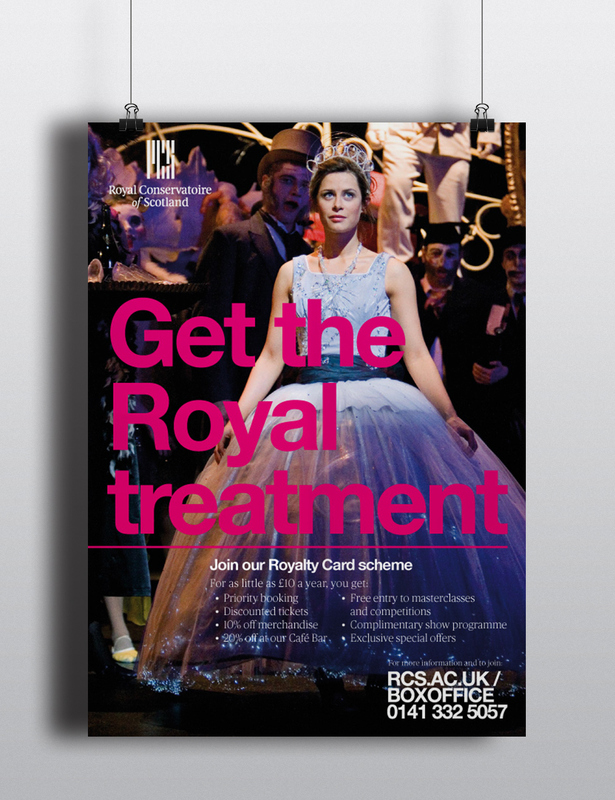 Working closely with the Box Office Manager and using images provided by the in-house photographer, we created a campaign based around the idea of 'royal treatment'. Printed A5, the reverse of the flyer provides details of the benefits, tiers of membership, and also a tear off sign-up form. 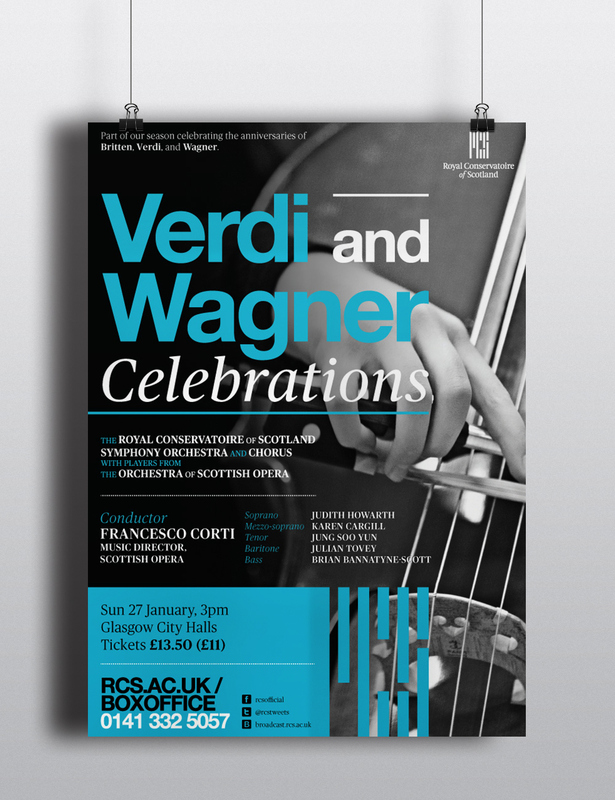 Promotional flyer for the concert celebrating the centinery of the birth of composers Verdi and Wagner. 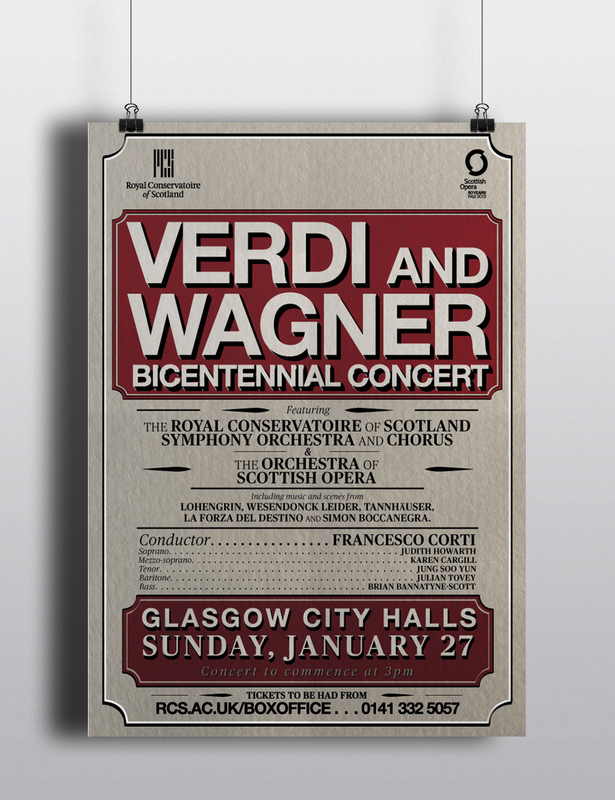 A co-production with Scottish Opera, the marketing material needed to align with the brand guidelines for both organisations. Advert created for entry in Dancing Times magazine. 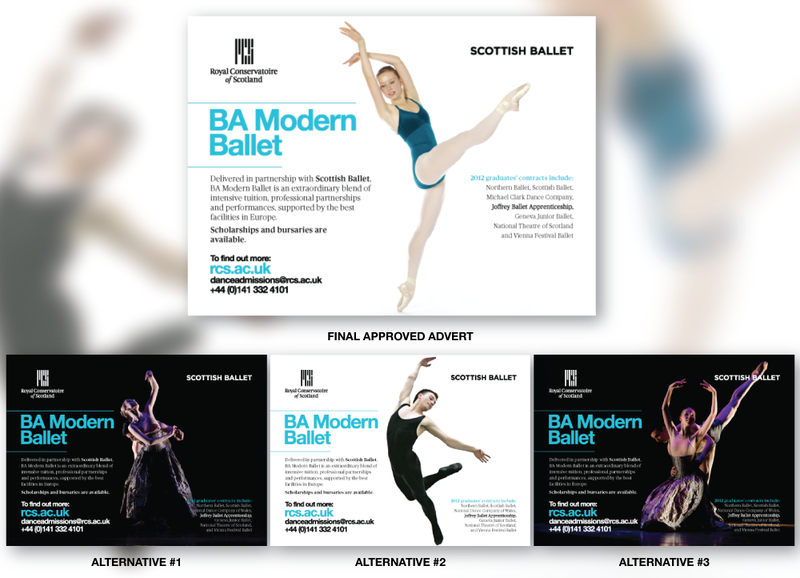 Editing imagery in Adobe Photoshop provided by the Royal Conservatoire's in house photographer, the advert needed to meet the requirements of the Ballet School. Consequently, the final image chosen reflects a higher level of dancing skill as opposed to the more striking options provided as alternatives.